Polo is a team sport played on horseback. The objective is to score goals against an opposing team. Players score by driving a small white plastic or wooden ball into the opposing team's goal using a long-handled mallet. The traditional sport of polo is played on a grass field up to 300 by 160 yards (270 by 150 m). Each polo team consists of four riders and their mounts. Field polo is played with a solid plastic ball which has replaced the wooden version of the ball in much of the sport. 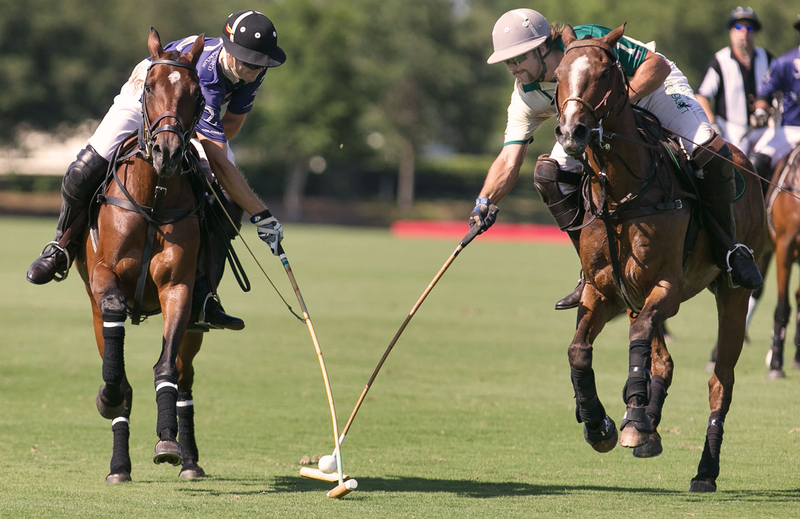 In arena polo, only three players are required per team and the game usually involves more manoeuvreing and shorter plays at lower speeds due to space limitations of arenas. Arena polo is played with a small air-filled ball, similar to a small football. The modern game lasts roughly two hours and is divided into periods called chukkas (occasionally rendered as "chukkers"). Polo is played professionally in 16 countries. It was formerly an Olympic sport.